Every business organization regardless of size has a “culture.” many refer to this as a corporate culture. Although a small business might be a sole proprietorship or partnership, a “corporate” culture still exists. A corporate culture cannot be pinpointed or defined in detail. It is, however, a culture or atmosphere that prevails about how employees behave and generally their beliefs. It is how employees and owners/managers interact with each other and with outside parties (customers, vendors, other stakeholders). Expanding this even further, a corporate culture can dictate a dress code (formal or informal), hours worked (flexible or stated), office configurations (open or closed), or even a philosophy of how customers are treated (priority or non-priority). A corporate culture might also include group lunches, on-site services, break rooms with games, or a variety of employee perks. Overall, culture contributes (or does not contribute) to the success of your business. A culture that embraces the vision of a company affects the way employees work and act. At times within a business, there can be two different cultures…a stated culture and a hidden culture. 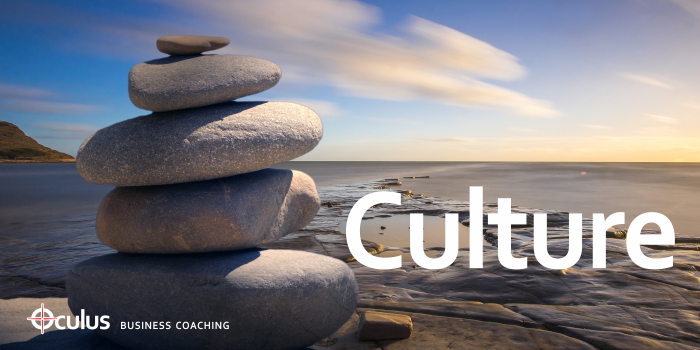 A stated culture is what owners and top management view as the corporate culture…the values they perceive the employees have and how these beliefs and attitudes affect productivity, performance, success, and the long-term viability of the business. Conversely, a hidden culture is the more accurate of the two cultures existing in a business. This is the genuine value and behaviors of employees rather than the perceived values and behaviors seen from the eyes of management. These two cultures can be a complete disconnect. Management sitting in offices views the culture from their vantage point while the employees on the floor, in warehouses, or in the field have a completely opposite view of the company. Most of the time it is management wearing rose-colored glasses that does not see or hear the true thoughts of employees. Employees on the other hand shake their heads in disbelief about how the business operates. Gossip, bickering, and complaining are the norm. Businesses normally cannot go from failure to success or from one level of success to a higher level of success without a positive corporate culture; one, in which, all values, philosophies, missions, and visions are the same. Since most employees have to work to pay bills, make mortgage payments, send children to college, etc., they want to work in an environment where they are engaged and energized. When this atmosphere prevails, businesses can transform from a current level of performance to a higher level. A transformation, however, is not automatic or quick. It takes time and energy to change a culture, especially one that has been entrenched with employees for years. Before real change can take place, there must be open communication and dialogue. An owner or manager usually cannot ask an employee what they think about the company or culture and get an honest answer. Normally, it just doesn’t work. When a neutral observer or third party gets involved, however, the feedback can be an eye-opener. Owners and managers frequently see the culture one way while employees see something just the opposite…same company, different views and opinions entirely. If a business seeks to change its culture for the better, everyone should be listened to from the receptionist and maintenance personnel all the way up. It’s not the person who complains about the snacks in the vending machine that can make a difference, but it is the employee who wants to work every day in a positive environment and feel a connection with a successful company who can make difference. Everyone prospers when a business grows and meets objectives. Corporate culture is here to stay. It’s not going away. Every business has a culture and will continue to have a culture. Whether the culture produces a positive climate is dependent on owners and managers. Creating the right culture to parallel with a company’s mission and vision for the future is worth the effort. In creating a culture that works for a business, it must blend employees’ values and behaviors with the company’s objectives. Perhaps, the business might have to make some changes…improve communication, employee perks, working conditions, etc…to more closely match its competition and desires of its workforce. Likewise, some employees might need to be replaced with fresh faces and attitudes who are more inclined to fit in with the business’ current culture. It is not an easy task but the right corporate culture for a business is essential for success. When employees feel valued and a sense of belonging and loyalty to a company, company value also increases.